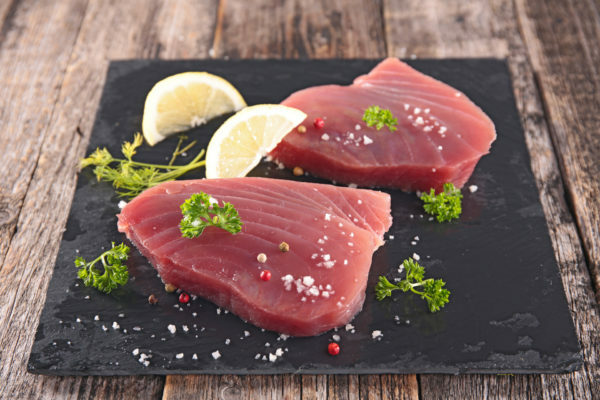 Skinless – Boneless Tuna supreme. 170-230g. Line caught in Pacific Ocean. (Thunnus albacares) A delicious source of protein, ideal pain fried or grilled, eaten hot or cold.